Reaching out to support and feed the hungry, homeless and more vulnerable in the city. Open Door Stoke on Trent was founded in November 13. We run two drop-in sessions twice a week. Tuesday at The Salvation Army, Newcastle and Friday at Christ Church Cobridge. 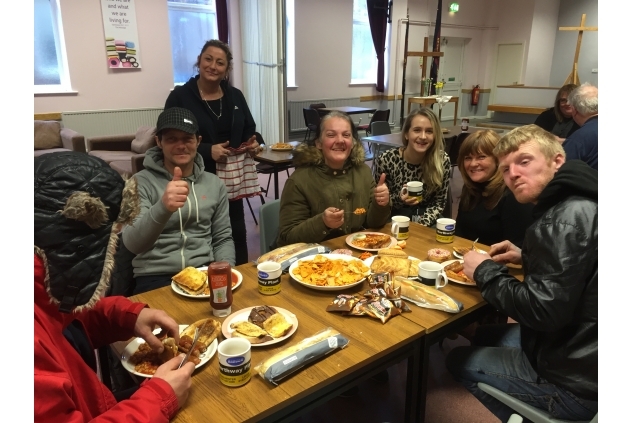 We not only offer a hot cooked meal to the homeless and more vulnerable of our city, but we also provide a non-judgmental safe place along with support, advice, friendship and each of our friends can leave with a food bag containing a meal and for those with no cooking facilities a "packed lunch" style food bag. buys the sandwiches for those who have no cooking facilities, to take away! Buys the whole breakfast for all 150 people that come to Open Door.